Head - HR, National Insurance Property Development Company Ltd.
National Insurance Property Development Company Ltd.
Cavelle Joseph is a versatile human resources executive with hands-on experience in public and private sector Human Resource Management. With over fifteen years experience she is a strategic professional who deploys a participative management style in a fast-paced and diverse work environment. As the Head Human Resources at the National Insurance Property Development Company Limited, she is an excellent team builder and consultant on personnel issues and organizational development. In addition to the HR function, she has responsibility for Health and Safety and Security. Her core competencies and training includes General and Administrative Management, HR Planning, Organizational Design, Organizational Development, HR Audits, Training and Development, Performance Management, Training and Instructional Design Skills, Employee and Labour Relations and Services, Recruitment and Selection, Policy Design and Administration, Conflict Resolution, Consultancy Skills. She has delivered presentations at the World HRD Congress (India) in 2016, the Human Resource Management Association of Trinidad and Tobago (HRMATT) biennial conferences, in 2013 and 2015. She has also published articles all within her areas of expertise. Ms. Joseph is an active member of the Society for Human Resource Management and the Human Resource Management Association of Trinidad and Tobago. 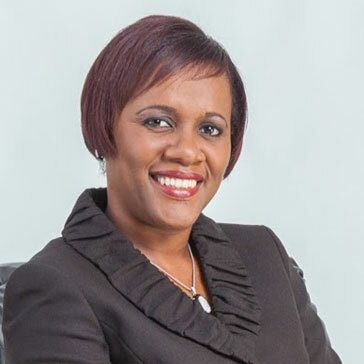 She is also the President of the Association of Female Executives of Trinidad and Tobago, and previously served on the Boards of South AIDS Support and the Pest Management Association of Trinidad and Tobago, both in the capacity as Secretary. Ms. Joseph was conferred with an International Award - 100 Most Influential Global HR Professionals, at the World HRD Congress, and was recognized for her contribution to South AIDS Support at its 10th anniversary function in 2011. She was also the recipient of the Spirit of AFETT award by the Association of Female Executives of Trinidad and Tobago at the International Woman's Day â€" Women of Influence Awards Function 2015, having served the association on two previous boards in the capacity of Fundraising Director and President â€" Elect. Ms. Joseph is presently pursuing Doctoral studies at Walden University in the field of Leadership. She is the holder of a Master's of Business Administration with Distinction, specializing in Human Resources Management, from the Arthur Lok Jack Graduate School of Business; a Bachelor of Science Degree in Economics and Law (Double Major); Diploma in Labour Laws and is SHRM certified as SHRM â€" Senior Certified Professional.